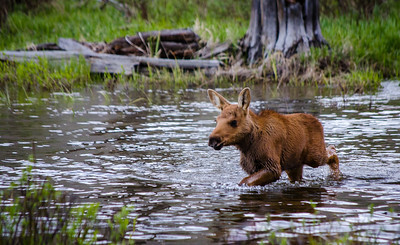 A young moose calf trout's through the river trying to catchup to it's mom. 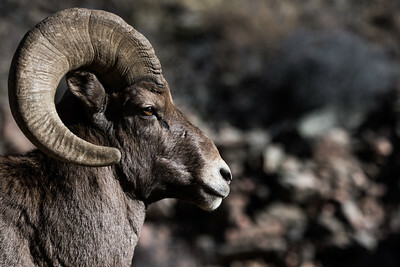 A portrait of an adult Bighorn Sheep. Love this picture as you can see the sun's reflection in his eye. 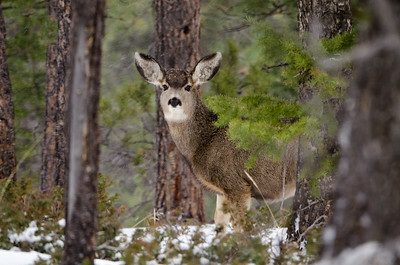 A young Deer steps out from behind the tree and poises during a windy snow day at Rocky Mountain National Park. 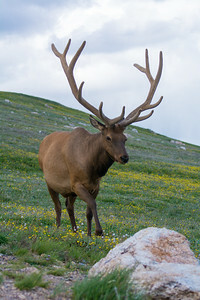 Two bull elk lock antlers and battle for dominance of the harem just outside of Rocky Mountain National Park. 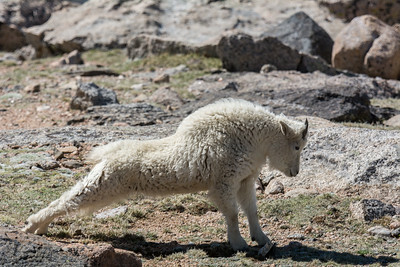 A mountain goat stretches in the morning after getting up from resting. 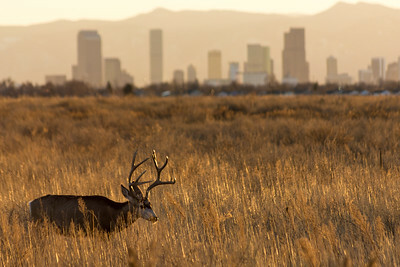 A male mule deer walks through the tall grass at Rocky Mountain Arsenal with the Denver skyline in the background. 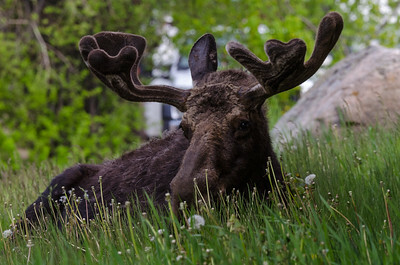 A young bull moose lounges around outside of a barn in Grand Lake. 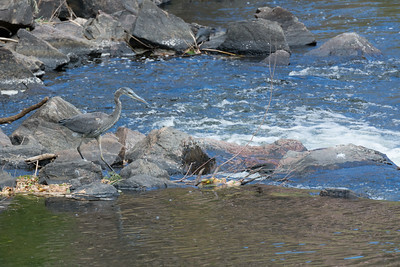 A great blue heron stalks a fish along the rocks. 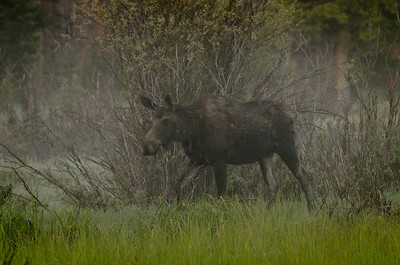 A female moose walks amongst the morning fog in Rocky Mountain National Park. 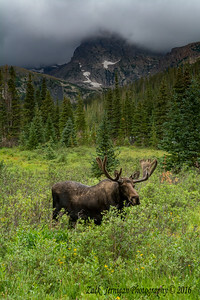 She has a calf with her, but it was lagging behind. 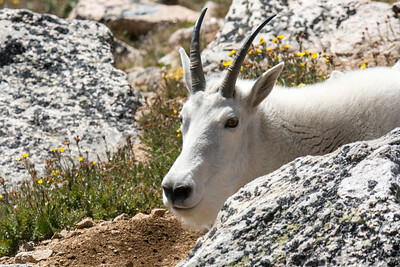 A male mountain goat lounges among the rocks and flowers on top of Mt. Evans. 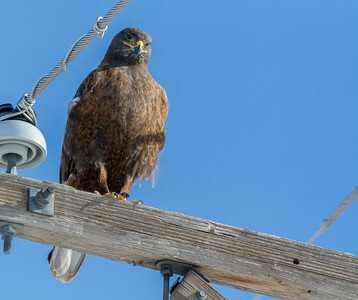 A dark morph ferruginous hawks watches overs the prairie dogs (and me) below in the field. 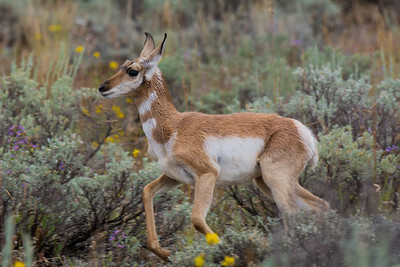 A young pronghorn runs around the bushes while the rest of his flock eats and relaxes. 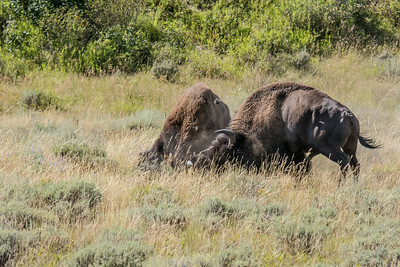 This is the second go-around for these bisons. 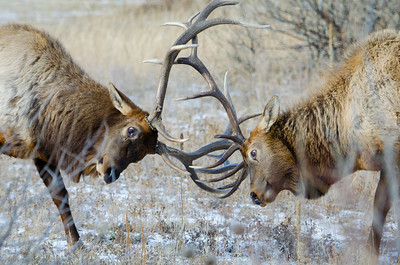 These animals collide with amazing power. 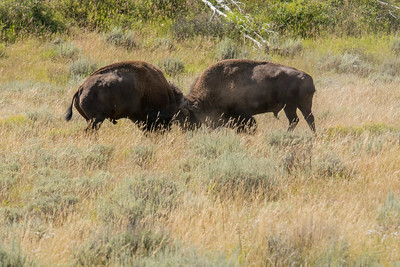 In this round, one of the bison loses a chunk of fur. 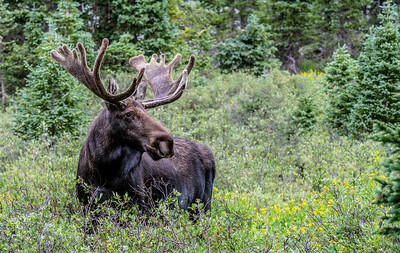 A noise in the distance grabs this bull moose's attention away from eating the local willows. 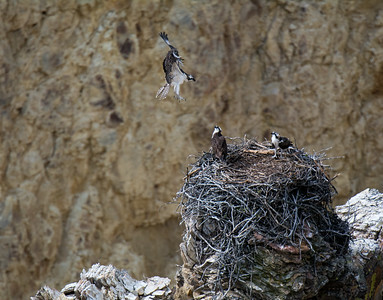 A young Osprey comings in from a short flight around the nest. 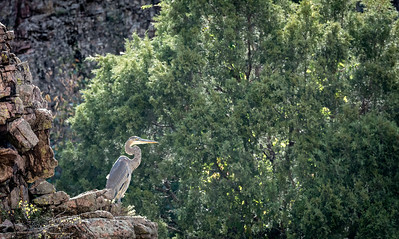 Mom and sibling watch the landing. 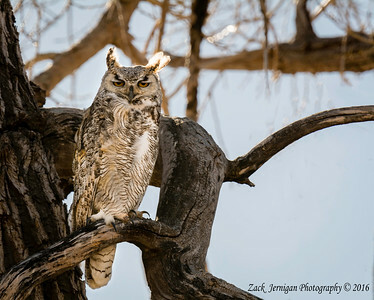 A great horned owl perches itself in a tree on a windy day. 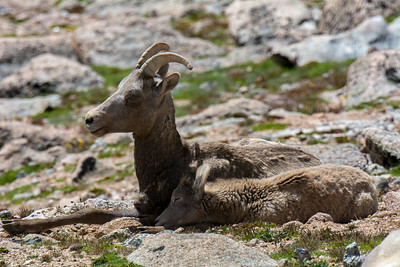 A young bighorn sheep sleeps in its Mom's shadow trying to escape the summer heat.